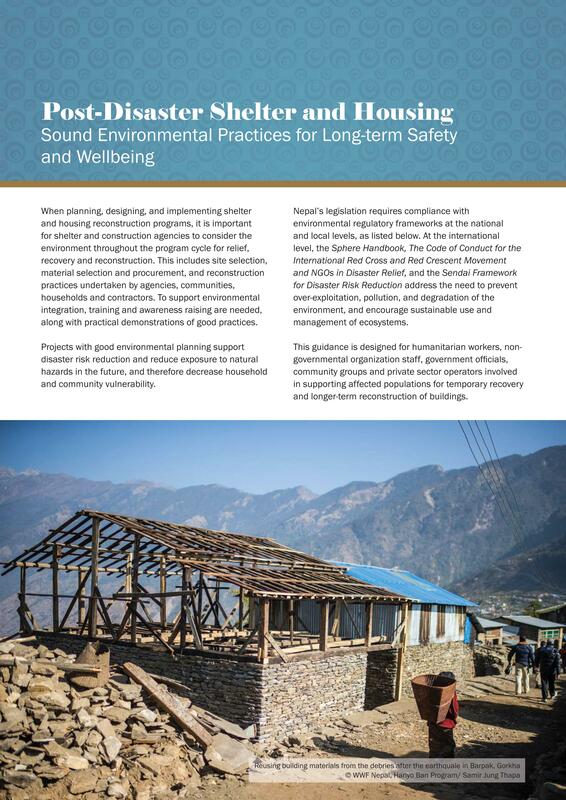 When planning, designing, and implementing shelter and housing reconstruction programs, it is important for shelter and construction agencies to consider the environment throughout the program cycle for relief, recovery and reconstruction. This includes site selection, material selection and procurement, and reconstruction practices undertaken by agencies, communities, households and contractors. To support environmental integration, training and awareness raising are needed, along with practical demonstrations of good practices.